Japan is a chain of islands completely surrounded by the sea.It consists of four major islands -Hokkaido, Honshu, Shikoku, and Kyushu, and about 6,800 islands surrounding them. Because the Japan archipelago stretches from north to south. It occupied about the same latitudinal range as does Quebec, Canada to Key West, Florida, U.S.A. The total area is almost as large as the state of California or a little smaller than Sweden. There is a various of climates, However, for the most part, it has a mild climate with four distinct seasons. 61% of Japan is mountain terrain, and the country is blessed with beautiful and varied landscape as well as lush greenery. Tokyo : Tokyo is a dynamically modern metropolis which a population of nearby 12 million people call home, Although only the official capital since 1868 when the youthful Emperor Meiji moved the court to the castle town of Edo-then renamed Tokyo, or Eastern Capital-it had been the administrative center of the country since the opening years of the 17th century. The climate of Japan is generally mild. 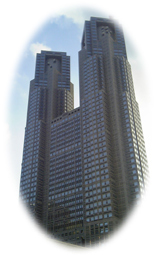 However, since Japan is an archipelago of islands stretching for some 3,000 km. from north to south, the weather depends on where and when one wants to travel. Tokyo’s latitude is almost the same as that Los Angeles, Athens and Tehran. 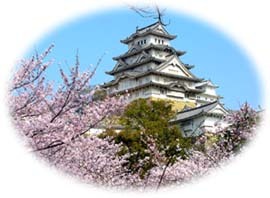 Spring in Japan is an alternating succession of warm and cold days, with the temperature gradually rising. The flowering of the cherry blossoms signals the full arrival or spring. With its rich and fresh greenery. May is the perfect season for traveling. In summer, the rainy season starts in mid-June and lasts about a month. As this ends, summer arrives with full force. Japan’s summer is extremely humid, with many sweltering nights. One summer event is the fireworks that vibrantly color the summer night skies. 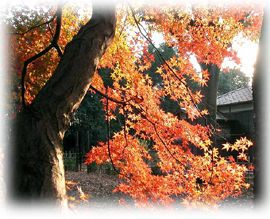 In autumn, despite of the lingering summer heat, hints of cool air can be felt in September. The Japanese enjoy the moonlight in the clear skies and listen to the chirping of insects that signals the arrival of fall. Rice, vegetables and fruits are harvested in the height of autumn, making this the season where nature shines the most beautifully. In December, Christmas decorations color the streets. The year-end and the New-Year holidays bring on traditional feelings. The temperatures bottom out during late January and February. Regions along the sea of Japan have heavy snowfall. 1. Buddhist Monuments in the Horyu-ji Temple Area in Nara Prefecture. 2. Himeji-jo Castle in Hyogo Prefevture. 3. Historic Monuments of Ancient Kyoto in Kyoto Prefecture. 4. Yakushima Island in Kagoshima Prefecture. 5. Shirakami-Sanchi mountainous region in Aomori and Akita Prefecture. 6. Historic Villages of Shirakawa-go and Gokayama in Gifu and Toyama Prefecture. 7. Hiroshima Peace Memorial ( Genbaku Dome ) in Hiroshima Prefecture. 8. Itsukushima Shinto Shrine in Miyajima, Hiroshima Prefecture. 9. Historic Monuments of Ancient Nara in Nara Prefecture. 10. Shrines and Temples of Nikko in Tochigi Prefecture. 11. Gusuku Sites and Related Properties of the Kingdom of Ryukyu in Okinawa Prefecture. 12. Sacred Sites and Pilgrimage Routes in the Kii Mountain Range. 13. Shiretoko, a long narrow peninsula located in northeastern Hokkaido. 14. Iwami Ginzan Silver Mine in Shimane Prefecture.